Give 'em That ol' Razzle Dazzle! 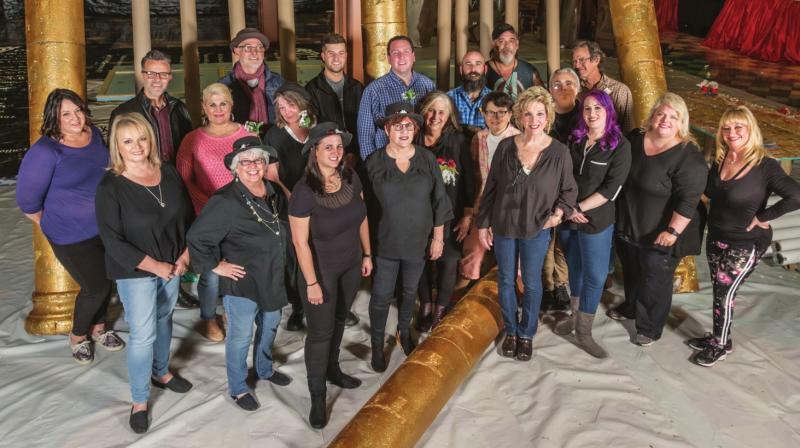 As parties and events go, it just doesn’t get any bigger, any flashier or more fun than Shreveport Regional Arts Council’s (SRAC) biennial fundraiser, Christmas in the Sky. This year’s Broadway theme is guaranteed to absolutely enthrall all attendees. You aren’t just a guest – you are a star, part of an immersive experience that stimulates all your senses from the moment you arrive. Light shows, live music, dancers and exotic theatrical performances, 10 stages and more than 100 spectacularly costumed characters bring the 17 incredibly designed Broadway-themed sets to life – larger than life. There are mountains of fab food, decadent buffets and oceans of premium libations to choose from. More auction items than you can imagine. A live auction that will blow your mind as bids go into tens of thousands of dollars. This sensory overload is such a massive production it can only come together every-otheryear and encompasses close to 40,000 square feet of elaborately decorated space on three floors of Harrah’s Louisiana Downs. Christmas in the Sky Broadway 2018 designers and its more than 600 volunteers will give their own unique twist to hits like "Wicked," "The Phantom," "Hairspray," "Lion King" and "Moulin Rouge." The Cabaret Kit Kat Club will bring the bidding to feverish levels in the live auction. More than 900 auction items will be up for bids at the event. From the time guests check in, they will be treated to sights, sounds and tastes that will amaze. First stop: the hustle and bustle of Times Square to experience the pulse of the city. Snap a selfie on the Selfie Stage or take a photo with one of the New Yorkers you will encounter. Ballangee says party-goers need to be prepared for the unexpected, the amazing, the shocking. The production comes together over the span of an 18-month period with the hard work of 600 volunteers organized into committees working to obtain auction donations and corporate sponsorships, and design and create sets, props, costumes, invitations, food displays and entertainment areas. Approximately 10,000 hours go into making the event. A team of 35 professional designers comes together every two years to create the black-tie affair. Design Chair Linda B. Goldsberry enjoys the work that goes into each incarnation of the glitzy fundraiser. “The fun part is seeing what all the designers create, and how they do it, and what materials they use – cardboard, carpet padding, plastic, foam, paper … it’s amazing how talented they are,” she said. Much of the event is built on-site at The Downs, because the sets are quite large – each piece is about 16 feet tall by 8 feet wide. Diesel Driving Academy helps with transport, delivering 10 big rigs filled with supplies and materials. How many supplies and materials go into transforming the venue? 2,800 pounds of glitter, 145 gallons of paint, 1,000 strands of twinkle lights, and miles of recycled paper, mylar and foam board. Goldsberry says part of her job as design chair is making sure the designers have everything they need to bring their vision to life. “I see my job as trying to give the designer what they need to do their job – to get them what they need to create their section,” she said. The themed areas will feature 10 entertainment stages with performers sure to get attendees dirty dancing! The Broadway Belters will get the crowd energized covering '80s hits in 42nd Street. Take in a burlesque performance in Moulin Rouge with New Orleans’ Fleur de Tease, and the Northwestern University Dancers will have revelers kicking up their heels as they “can Can-Can.’” Over in Hairspray, bid on fabulous wine and spirits parties like Red River Brewing and Fat Calf Boucherie’s 1812 Party that includes a dinner party with beer pairings. The creative culinary team is led by Chef Ryan Gillespie, food and beverage director, and features themed hot and cold buffets complete with ice sculptures. The team represents Frank’s Pizza Napoletana, Red River Catering, Ki Mexico, Stephens Catering, Accents Personal Chef Service, Geaux West Catering, Whole Foods, and will feature ice sculptures by Red River Ice. Additionally, 13 themed bars are provided by Republic National Beverage Company, Eagle Distributing Company/Budweiser and Coca-Cola Bottling Company United of Shreveport. Truth, beauty, freedom, love … and great food abounds in Paris at the Moulin Rouge. Unique food experiences can found be over in the Spectacular! Spectacular! silent auction. That's where guests can bid to win a Golden Fork dinner. Past and present Golden Fork-winning chefs are paired with a host couple and create exciting dinners for people to bid on. "You get up close and personal with a lot of the people who care the most about the arts and have beautiful art collections themselves. You get to be in their homes and enjoy a phenomenal dinner prepared by one of the best chefs in our region," said Pam Atchison, SRAC executive director. Twelve different silent auction areas will feature 1,000 items ready to be claimed by the highest bidders. Trips to exotic locations, novelties, services and items that cannot be found locally artists in Shreveport-Bossier and all over the world. Jewelry, accessories, parties, wine, children’s items and sports memorabilia can be found in the will-be-available area. There will be a buy-it-now option for buyers who want to ensure they come away with their favorite item. The Cabaret Kit international and national trips. night before the gala so you can get a leg Kat Klub live auction will showcase up on your shopping. Golden Paddle have been donated by businesses and one-of-a-kind experiences like Raffle tickets are good for a shot at $10,000 credit on one item in the live auction. Only 100 are sold at $200 apiece. There is also a Times Square Timepiece Raffle for two Sid Potts watches. Tickets are $25 or five for $100. "I think there will be something in that auction for all budgets. There are going to be some bargains, and there are going to be some things that go for a lot of money because they're so fantastic," said Ballangee. The funds raised by Christmas in the Sky fund SRAC’s budget for the next two years. 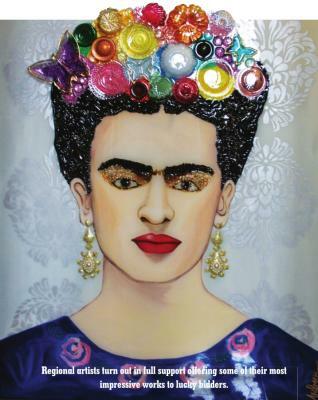 That includes ARTBREAK, which is the largest student art festival in the South; public art like the Shreveport Common murals; grants for artists and arts organizations; and artspace, the downtown Shreveport art center, to name a few. Kallenberg says Shreveport is a wonderful place for the arts to thrive. “Shreveport has the best. We have the best artists. We have the best community,” she said. 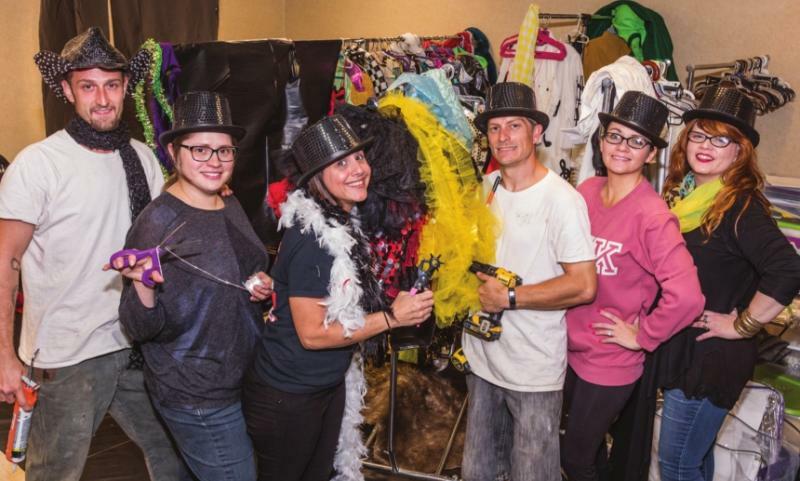 Chris Candido, Jessica Flores (costume chair), Candy Murrell, Troy Murrell, Jennifer Hill-Dingler (casting chair) and Angie Underwood (hair and make-up chairman). Pictured are (back row) Alicia Smith, David Baker, Bruce Allen, Josh Jennings, Mark Crawford, Josh Porter, Mitch Landry, Sir Kevin Wolfe; (center row) Michal Ann McGill, Amanda Chamberlain, Martha Bills, Sherry Tamburo, Janet Wolfe, John Lomax; (front row) Sherry Hill, Jill Valentine, Gaye Sterling, Linda Goldsberry (design chairman), Elizabeth Horner, Jackie Barber and Cynthia LaChapelle. Not pictured are: Michael & Richea Corbin, James Marks, Floyd Sterling, Joe Valentine, Hannah Roark, Shannon Long, John Stephens, Adam McWilliams, Jim Hayes, Sean FitzGibbons, Larry and Tiffany Sanchez, Levin Kinsey and Megan Davis-Taylor. 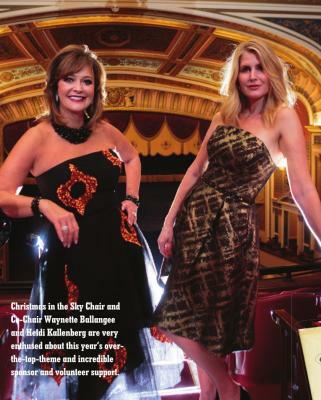 Walk the red carpet at Christmas in the Sky: Broadway at 7 p.m. on Saturday, Dec. 8, at Harrah's Louisiana Downs. The show will go on until curtain call at 2 a.m. Tickets are $300 and may be purchased at skybroadway.com, by calling (318) 673-6500 between 8 a.m. to 5 p.m., or downtown at the Shreveport Regional Arts Council offices at Central ARTSTATION at 801 Crockett St. Only 2,500 tickets are available and this popular event always sells out. 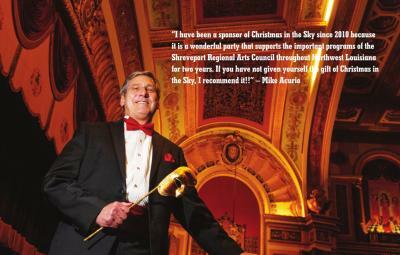 Christmas in the Sky: Broadway is produced by the city of Shreveport, Hilton Shreveport, Michael T. Acurio, MD, and Harrah's Louisiana Downs and benefits the Shreveport Regional Arts Council.